Thank You Smarty Pants Vitamins for sponsoring this post. 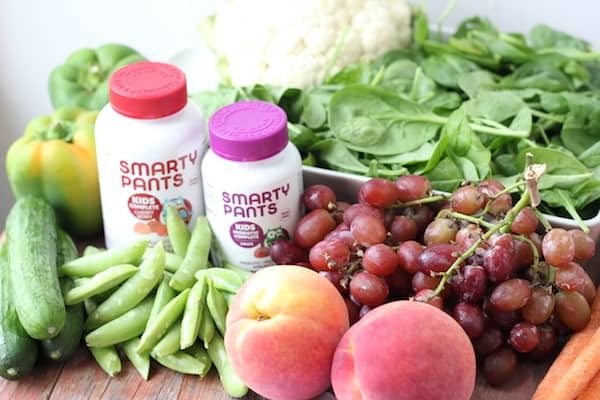 We love and use Smarty Pants every day! That said, all opinions are 100% own. One of the terrors of motherhood is sick kids. There’s nothing worse than the helplessness of watching them throw up, or not being able to sleep thanks to congestion, and not being able to make it better for them. It would be nice if we could isolate them in an ivory tower to keep them safe from all the yucky stuff out there in the real world, but we can’t. And even if we could, well, I’m sure they’d tell you they’d rather risk getting sick than miss out on life. But moms, we can help our kids stay healthy through the day-to-day germ exposure. We really can. We may not be able to reach the perfect level of control over their health that we wish we could, but we can influence it in a big way by implementing a few simple habits to bolster their immune systems to fight off the germs that want to take residence in their little bodies. This isn’t a list of “teach them to sing their ABCs while they wash their hands” or “clip hand sanitizer to their lunch box” kind of list. You and I have already drilled those lessons into our kids until they roll their eyes at the very mention of soap and hand sanitizer. This is a list that will really, truly help you kids stay healthy, because the best defense is a proactive offense. So we’re going to be proactive, and build these kids up! Fresh vegetables are filled with micronutrients that help your kids’ bodies grow, repair, and fight off the things that want to tear them down. If your kid hates the traditional approach of eating salad with his dinner, try a green smoothie for a double whammy of fruits AND vegetables at the same time – kids will love them! We all need simple breakfasts on school day mornings, but honestly, ditching the less healthy cereal, and “dessert breakfasts” as we like to call them, isn’t that hard! Think scrambled eggs, breakfast burritos, or steel cut oats (which cook in three minutes if you have an instant pot!). Your kids may hate it, they may fight you, but good sleep is essential to keeping little humans who are still growing healthy. During sleep is when the body repairs itself. So, make getting to bed on time a priority so they can wake up refreshed and healthy the next day. Being well rested will also help ward off stress during school, which is vital to staying healthy. Chances are, your kids are naturally very active, but if they happen to sway toward the cough potato side, it’s your job as mom to encourage them to get moving. Whether it’s sports, setting up active, unstructured play, or a purposeful workout, kids need exercise just as much as adults – if not more so – to stay healthy. Exercise improves blood flow, and helps the body carry nutrients to, and toxins from the cells. Moving is vital to your health! 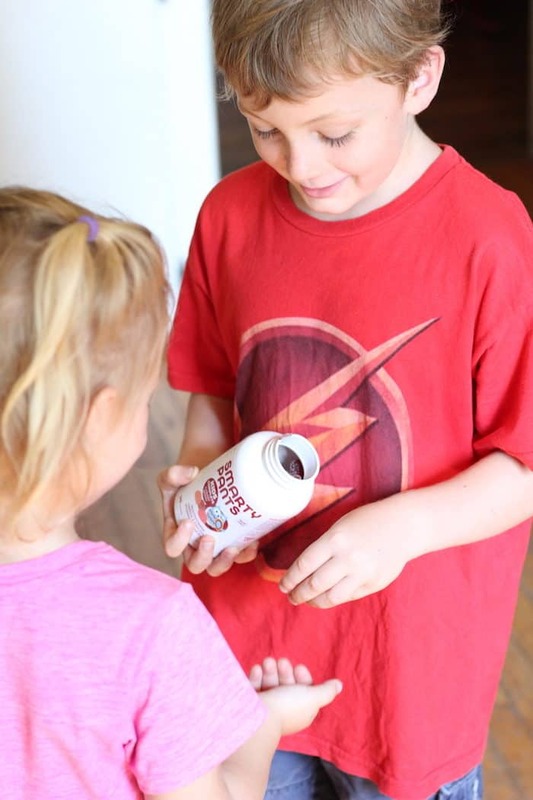 I can’t stress enough how important it is to make sure your kids are getting their necessary nutrients through a good multi-vitamin. This is so important to us that we’re willing to pay top dollar for good vitamins if that’s what it takes (thankfully Smarty Pants, our vitamin of choice is pretty affordable!) 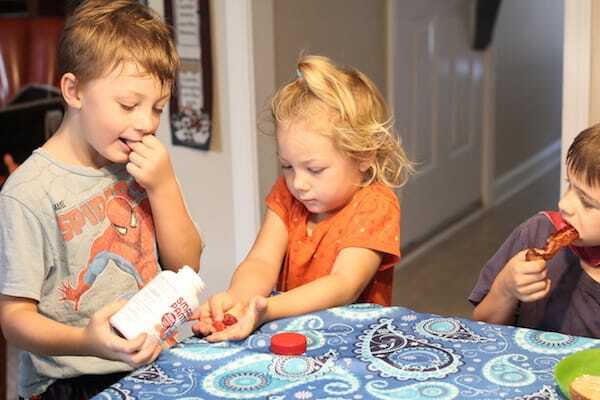 Every morning after breakfast, our kids take their vitamins. As much as we would love to believe that the things we eat give our kids all the nutrition they need, there’s just no way to have a perfectly balanced diet. To make sure you get the right number of micrograms on your vitamin A, or balance your claim to magnesium ratios. Getting good nutrition in today’s world includes taking a multi-vitamin. The bottom line? Just good old common sense. Short of that impossible ivory tower, that’s your best path to long term health. 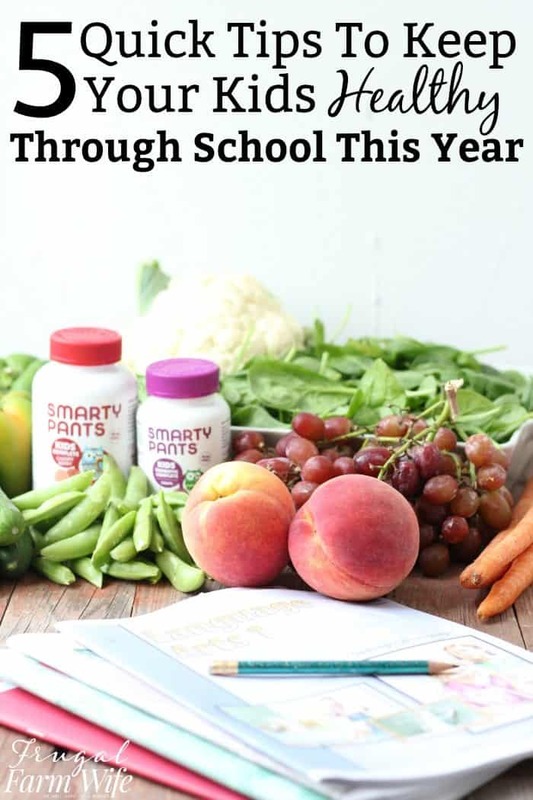 Thanks again to Smarty Pants Vitamins for sponsoring this post!